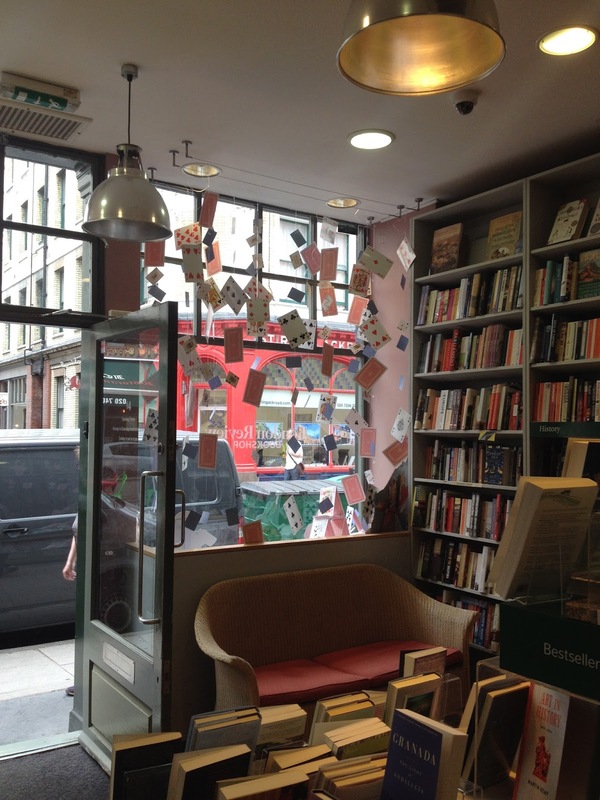 Whenever I first tell people about this blog there's an inevitable question: Which is your favourite bookshop? It's a question that's impossible to answer, generally leading me to talk about a random selection of highlights from my travels so far and sometimes, but not always, managing to distract them. A secondary question is whether or not I return to bookshops once I've written about them. Today's post should, in some small way, answer this second question. However in a bid to prove I'm not one for the bookshop equivalent of a one-night stand (a one-shop stand?) here are a few of the places I've revisited since writing. We'll begin by looking back to the hottest day of the year, when I finally got to meet Baxter the bookshop dog. My visit sadly coincided with his last day at Belgravia Books, but he was an excellent excuse to revisit this excellent bookshop that's only a hop, skip and a jump from Victoria train station in London. A particular favourite of mine for translated fiction (it's linked with Gallic Books, the people who brought the wonderful 'French romcom' The Red Notebook to English speakers), on the occasion of this visit I must confess to having broken my cardinal rule of never ordering a book. Given the wide variety of great books on offer in Belgravia Books I'm not proud of that confession, but if you're a regular reader you'll know I'd been overwhelmed by a book and simply had to know what happened in Patrick Rothfuss' second, The Wise Man's Fear. Which leads us nicely to the bookshop where I actually bought The Red Notebook by Antoin Laurain: Much Ado Books in Alfriston. Just an hour away from my home, this is a gorgeous place to spend a day escaping from the world, and as an honorary member of their Friends group I've had the privilege of whiling away many a happy hour in their private room. 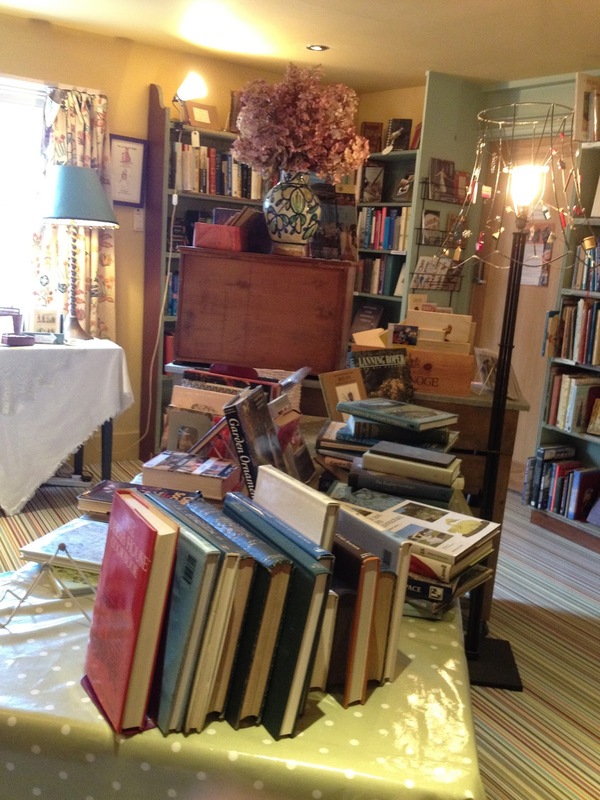 But if I'm honest, everyone's a friend when greeted by Cate and Nash, the bookselling couple who give this beautiful destination its creative heart. Closer to my home, we have Little Mouse Books in Maidstone. Once my local, this delightful children's bookshop feels like it's actually hidden away down a mousehole. I may not live near it any more but it continues to play a big part in feeding my comfort reading cravings, because to me that's what children's books are when read by adults, and we should all be proud to be seen reading them. For this blog I'm mentioning When the Whales Came by Michael Morpurgo because I've lost track of which other books I've picked up here! 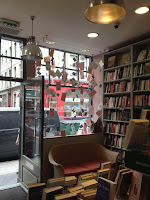 Returning to that boiling hot day in July, another place I've revisited a lot is London Review Bookshop, in particular for tea and cake – I adore the London Review Cakeshop – but also for books. It's one of those bookshops that has a recommends table unlike anything else I've seen and simply can't be compared. On this day I was meeting a friend from The Booksellers Association and she recommended Jeffrey Eugenides' The Virgin Suicides. It would've been rude not to feed my book-buying addiction. Further away, visiting friends on the coast has enabled me to enjoy the odd trip to Tiverton Books in Margate. Limited opening hours alone make this bookshop a treat to explore, throw in the quirkiness of its shelves and a friendly bookselling couple and it's a reason to get up early to ensure you don't miss out. I believe my last purchase here was The Pigeon by Patrick Süskind. Finally, I've already mentioned a revisit to Blackwell's High Holborn, but that same quest to read more John Wyndham was also rewarded in West Hampstead, during a trip to West End Lane Books. I'd only popped in to say hello to their resident penguin, but their science fiction is so well-stocked I was also lucky enough to take home The Midwich Cuckoos. Obviously the bookshops named here are all relatively close to home and easy to visit, so in some ways I feel like I'm cheating saying I make return trips to all bookshops, because I can't. But I've enjoyed revisiting them here and hopefully this has helped jog your memories about some of the many great bookshops I've visited. 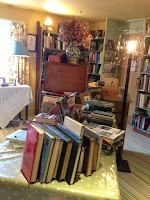 Perhaps these, or other bookshops I've already visited, are among your favourites too? If so I'd love to hear about them. 277 West End Lane, West Hampstead, London, NW6 1QS. Although I live on the opposite end of the country from Much Ado Books, I cannot praise them highly enough for posting books to me. Each beautifully presented parcel I receive is a complete delight and a pleasure to open. It's like Christmas Day again. Over the past two years I've come to know Cate and Nash by way of our email correspondence, and hope one day to meet them in person at their delightful escape. What a lovely comment! Thank you for sharing this Deborah, and I also hope you get to meet Cate and Nash as they are a very lovely, friendly bookselling pair.